Cheetahs across Africa are in trouble. There are almost certainly fewer than 10,000 remaining across the entire continent, and wherever they are found, they are mercilessly persecuted. The world's fastest cats are relegated to nothing more than "luxurious" men's traditional shoes in Sudan; they are shot as hunting trophies in Botswana, Namibia, and Zimbabwe; they are bred in South Africa (almost certainly supplemented from the wild) to be sold overseas into captivity; and they are captured in the wild in the Horn of Africa - in vital range states like Ethiopia - to be sold into the Middle Eastern pet trade. Born Free has been working to conserve cheetahs across Africa and to rescue individual animals in need when they are confiscated from the pet trade, especially those who end up in places like Somaliland on their way to Yemen and elsewhere in the Middle East. We know firsthand the hazards of this destructive trade. Cheetah kittens are captured in the wild, perhaps the mother is shot, and the babies are stuffed in crates or bags to be sold into the enslaving pet trade: tethered to leashes in someone's home or to ride in fancy automobiles in the Middle East. Young cheetahs - even those lucky enough to be rescued from the trade - almost certainly cannot be released back into the wild. At Born Free's rescue center in Ethiopia, Ensessakotteh, we can, at least, provide the lucky ones with a humane accommodation for life. Thankfully, governments of the world are paying attention. Many of them gathered this week in Kuwait to look at the issues surrounding the illegal trade in cheetahs. 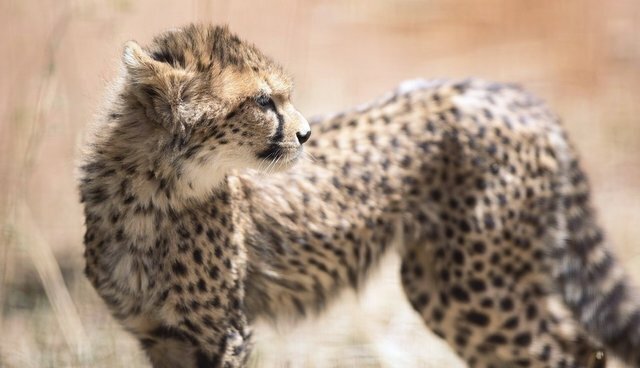 Representatives from cheetah range states such as Kenya, Sudan, and Somalia joined with their counterparts from the demand countries, like Kuwait and Saudi Arabia, to discuss how to combat the illegal cheetah trade in depth. As difficult as the issues are surrounding the cheetah trade, knowing that I, myself, have witnessed in Ethiopia the arrival of these poor babies, scared and far from home, it was inspiring to see all of these disparate players in one room. They were thinking carefully and with terrific focus about how to protect cheetahs in the wild, dissuade misguided or thoughtless consumers from acquiring these majestic animals, and ensure that a future remains for the wild cheetahs across Africa. By the end of our 72 hours of deliberations, a number of important strategies and recommendations to Parties to the Convention on International Trade in Endangered Species (CITES) were tentatively agreed upon. Among them: 1.) encouraging nations to do more to report instances of illegal trade, especially in cheetah skins; 2.) encouraging countries where cheetahs remain in demand to engage in significant public awareness campaigns to change behavior, as well as recommending significant enforcement actions and increased penalties for those profiteers and poachers who engage in trade; and 3.) ensuring that there are humane solutions for those animals confiscated from the trade, including support for existing rescue centers (like ours) and the development of new, national rescue facilities to care for these animals. I'm writing this from the airport in Kuwait, about to head home, knowing that coordinated actions and significant recommendations have been agreed upon by cheetah range states and consumer countries - giving this beleaguered species a fighting chance. Time will tell, however, whether our efforts in Kuwait were meaningful or lost. In January, the Standing Committee to CITES will convene and the Standing Committee members will hear our joint suggestions for tackling the illegal trade in cheetahs. I hope that those deliberations will be as fruitful as our deliberations have been this week, and that our recommendations will be widely and enthusiastically accepted. Until then, I will rest assured knowing that, in Ethiopia, at least, Born Free is going to make a difference to every individual cheetah we can and keep them in their natural home forever.